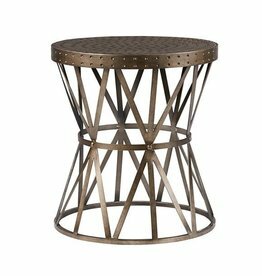 This eye-catching end table features a cinched silhouette and hammered top in an Antique Silver finish to stun any guest entering your room. No assembly required. 1 Table DIA 18.25" x 20H"